Skilfully crafted, the Dakota Medium Table Lamp by Heathfield & Co would make a sophisticated addition to bedside table or side table. The strong, clean lines are carried through from the base up to the rectangular shade. 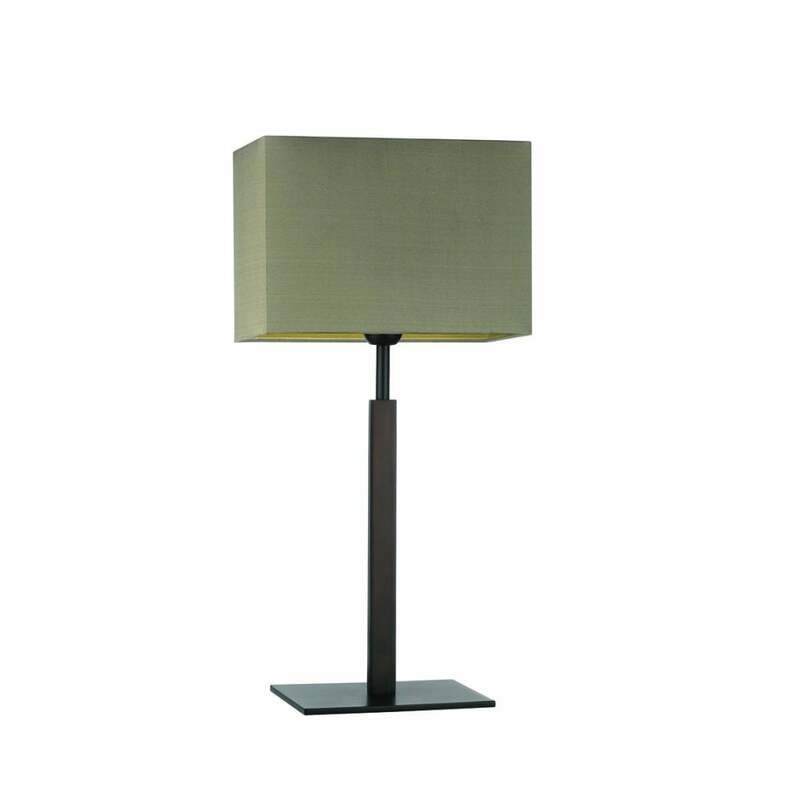 Available in either a chrome or bronze finish, this table lamp is versatile, lending itself to a minimalistic interior scheme. Choose from a variety of shade finishes including a luxurious silk or a cool linen. Make an enquiry to receive expert advice and information. Priced for 10" Straight Rectangle shade in silk with white PVC lining. Please contact us for other options.